A new study reported in the MIT Sloan Management Review just found that IT investments return more to the bottom line than both advertsing and R&D. The study also discovered that IT projects deployed since 1995 have enjoyed a signficant and positive effect on profitability. This is rare good news for IT departments, whose salubrious impact on the enterprise has always been questioned. Put that in your pipe, Mr. and Ms. CFO…and smoooooke it! Previous studies of this kind usually show that IT has a negligible impact on profitability. Article originally appeared at enterprisecioforum.com. Excerpt appears with permission from John Dodge. 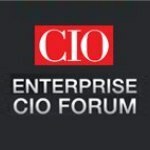 Enterprise CIO Forum enterprise CIO forum, IT investment. permalink.